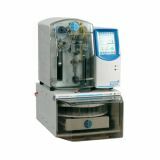 Total organic carbon (TOC) analysis measures organic contamination levels, and is thus an important indicator of general water quality. 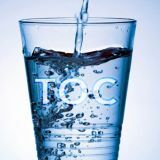 TOC is an effective monitoring parameter because it responds to all types of organic carbon, either dissolved or suspended in water, including compounds without a chromophore. 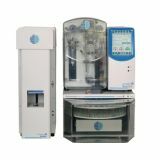 Both benchtop systems for highly accurate laboratory analysis of spot samples collected at designated intervals and on-line analyzers that monitor influent and effluent process water streams in real time are available. 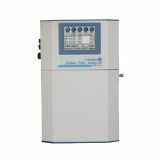 When used in tandem, these two analyzers provide the most comprehensive approach to the monitoring and optimization of the water treatment process. Community water systems that serve large populations generally rely on surface water such as rivers, lakes and reservoirs as their "raw" water intake source, and the quality of the raw water from these sources determines the drinking water treatment process that is employed. 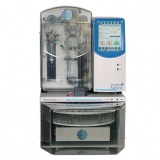 No matter the process, TOC analysis is critical for the accurate monitoring of organic carbon levels in compliance with water treatment methods. In the drinking water treatment process, raw source water is pumped through a screen to remove large debris. Potassium permanganate (KMnO4), a substitute preoxidant to chlorine, is a strong agent that may be added to oxidize organic matter and is used to control total organic trihalomethanes (TTHMs). It also imparts undesirable flavors, odors and colors. After the addition of KMnO4, the water is clarified by flocculation and sedimentation. Alum, iron salts or organic polyelectrolyte polymers are added to coagulate small particles into larger ones that settle out as sediment. The clear water is then filtered through a bed of sand and gravel to remove remaining particles and natural organic matter.